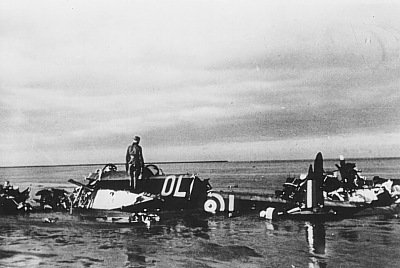 Hampden I AD850 crashed in the tidal waters south east of Mandø island 6/11-1941. 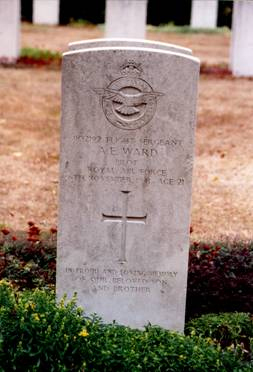 The aircraft belonged to RAF 83 Sqn. 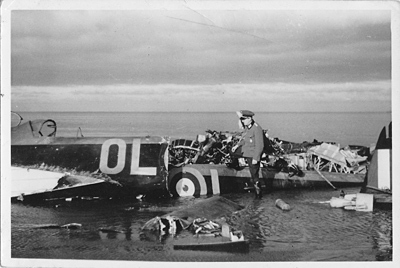 Bomber Command and was coded OL-L.
T/O 01:05 Scamton. OP: Gardening Kiel Bay. 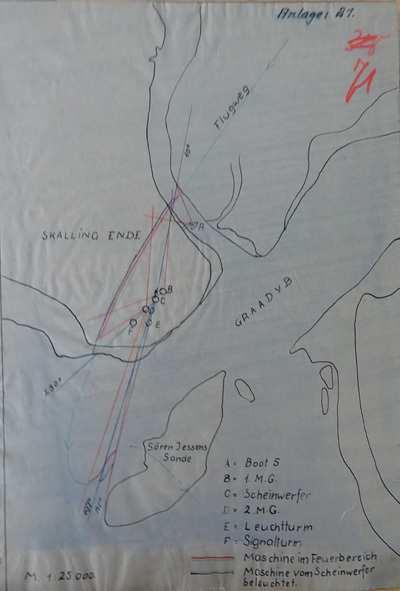 Both on the way to the target and back the minelayers passed over Esbjerg where they were fired at by Scheinwerfer Skalling ende and Boot 5 der Hafenschützflotille Esbjerg. 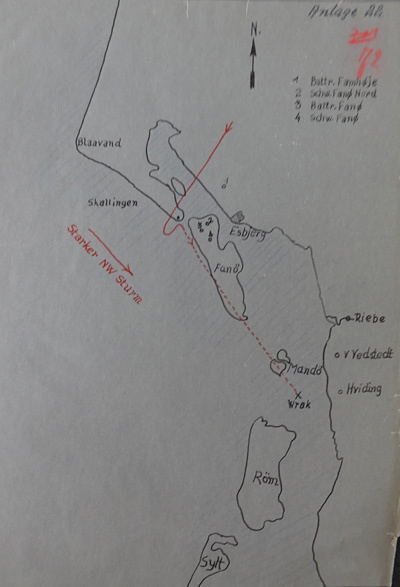 At 06:30 the aircraft was seen comming at 50 meters altitude from a north-easterly direction towards south-west the MG`s of 4. 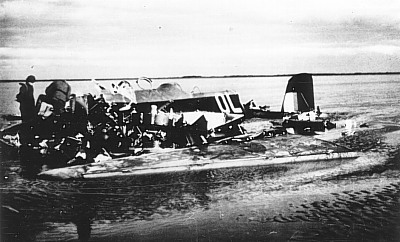 Batterie M.Flak A.204 Scheinwerfer Skalling opened fire as did the Boot 5 of the Hafen Schütz flotille laying at the pier at Skallingen. The latter fired 60 rounds. 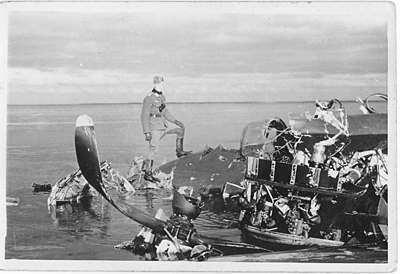 The aircraft was hit in the fuselage and left hand wing followed by fire spreading from the hits. Apparently an emergency landing was tried but with no luck. The wreck of AD850 was found south east of the island of Mandø, between Hviding and Rejsby on 9/11. 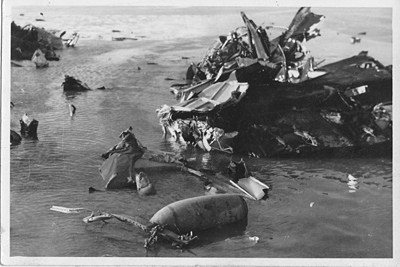 The wreckage was found on 7/11 at approx. 10:00 hours by Küstenwache Vester vedsted. Receiver of wrecks Hans H. Jørgensen from Mandø secured the body of Observer F/S Anthony E. Ward and brought it to the chapel at Mandø church. 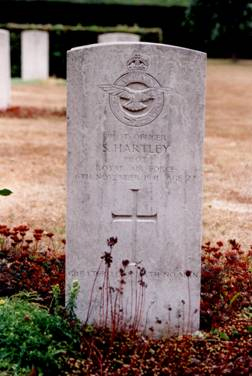 From there it was transferred to Gravlunden cemetery in Esbjerg. On the same day the body of Wop/Air Gnr. 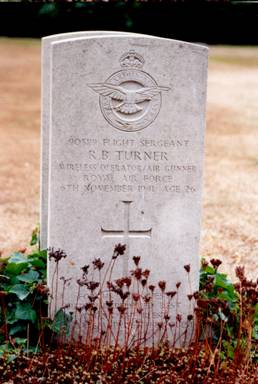 F/Sgt Ronald B. Turner was found near Hviding while Pilot F/O Stanley Hartley was found near Søndernæs strand. They too were brought to Gravlunden cemetery where they were all laid to rest on 14/11 1941. Wop/Air Gnr. 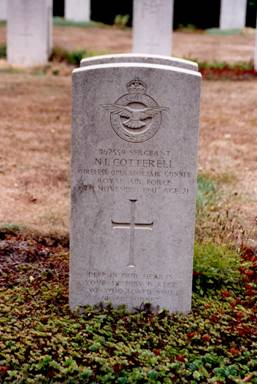 Sgt Norman I. Cotterell was found drifted ashore near Rejsby and laid to rest in Gravlunden on 22/11-1941. Sources: AS 65-48, LBUK, BCL, RL 19/453, KT, WD, BE, T-501, UA, Theodor Hansen, Rudolf Clausen both Esbjerg, RM 45 III 314.